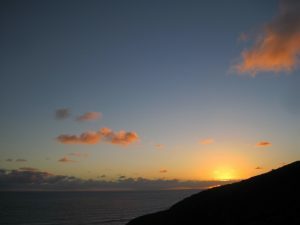 Eleven years ago I was nearing the end of participating in a 22-week virtual Authentic Happiness Coaching Program (AHC). From March 2003 to May 2005 Dr Martin Seligman and a host of other leading positive psychologists trained 1,000 professionals from 19 nations in the theory, assessments, interventions, and exercises of Positive Psychology. It was soon after AHC finished that the first Master of Applied Positive Psychology (MAPP) program was created, and as many readers know, Positive Psychology News (PPND) was brought to life by MAPP graduates. 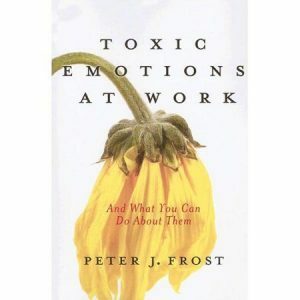 I discovered AHC in early 2004 after attending a “Toxic Emotions at Work” workshop run by Professor Peter Frost (who sadly passed away in late 2004). We were introduced to Appreciative Inquiry and Positive Organizational Scholarship. Exploring these fields led me Positive Psychology, and then AHC. Having worked for a large international organisation for 20 years I was excited about the potential for all three fields to be applied in the workplace. Positive Psychology’s aim is to build strength, well-being, and optimal functioning. This focus gained momentum in the late 1990s and resulted from a reaction to psychology’s then predominant attention to what is wrong, how to fix it, and how to remove damage and weaknesses. A number of psychologists noticed that removing weakness did not build flourishing. This expanded attention to building strength and well-being has important implications for organizations. Here in Australia, happiness and well-being strategies in the workplace were almost unheard of 11 years ago. The predominant focus back then included cultural imperatives such as employee engagement. Mental illness and mental health are now at the forefront of attention. Organisations are implementing strategies to reduce mental illness at work and to support employees who suffer from mental illness. Do you notice the focus here on weakness correction? However, some organisations are also promoting positive mental health at work and are implementing strategies to strengthen well-being and flourishing (not just minimising ill-health). What resources are available to design an organisational well-being strategy? To become informed you could read countless articles and books that are available on this subject and you could find the threads that you could weave into your strategy. Or you could kick start your work by referring to the strategies that others have designed. 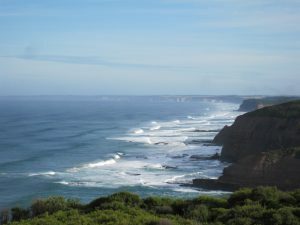 To get the ball rolling, here are some Australian examples of reusable strategies. “An approach that focuses solely on the dysfunctional elements of work in order to prevent illness does not adequately capture the elements of the workplace that engage employees; nor does it explain why some organisations develop environments where employees can flourish and reach their optimal potential”. The guidelines are laid out in a clear and readable format, making it easy for organisations to kick-start the process of developing their own strategies. Heads Up is an organisation developed by beyondblue and the Mentally Healthy Workplace Alliance, which was established by the National Mental Health Commission. The website has a wealth of tools, templates, resources, information, tips, and advice to help individuals and businesses to create more mentally healthy workplaces. 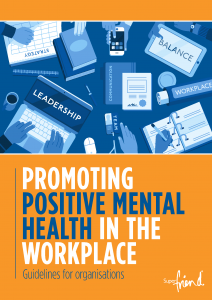 In 2013 the Australian Public Service Commission (APSC), in conjunction with Comcare, an Australian Government Agency, published a 128-page document Working Together: Promoting mental health and wellbeing at work. Fostering workplaces and cultures that promote health and well-being and minimise the development of mental ill health. One of the inputs into its 32-page Wellbeing At Work Strategy 2014-2018 was report from the APSC (see above). CSIRO was guided by the APSC’s emphasis on the influence that organisational culture has on well-being. Address mental health as an economic and business improvement driver. Redesign work to establish a mentally healthy environment. Set a longer term strategy: there is no magic bullet or short term fix. Have courage to remove barriers to change. 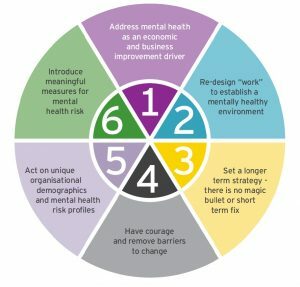 Act on unique organisational demographics and mental health risk profiles. Introduce meaningful measures for mental health risk. These examples are a drop in the ocean of resources that organisations can use to develop their well-being strategies. Do you know of resources and examples that you can share? I’d love to hear from you. This article was originally posted on Positive Psychology News Daily (PPND) in February 2016. With a fresh new year ahead of us, a recent article about incivility and respect offers timely information about workplace civility. “The Price of Incivility” by Christine Porath and Christine Pearson can be found in this month’s Harvard Business Review. You can also read the authors’ short HBR blog “You’re Rude Because Your Boss Is Rude” (January 18, 2013). Because the topics of respect, civility and appreciation are often raised by my clients I found the articles relevant and interesting. Learn from rudeness: your own or others’. What would you do instead next time? For a workplace to retain its soul, health, productivity, quality work and strong team relationships, the building block is respect. Are you an active participant in generating and maintaining a civil and respectful workplace? Christine Porath has also written a chapter on Civility for The Oxford Handbook of Positive Organizational Scholarship. I haven’t read it yet, but plan to soon. Porath, C.L. (2011). Civility. In K. Cameron & G. Spreitzer (Eds. ), The Oxford Handbook of Positive Organizational Scholarship. Oxford University Press.